The 2018 Santa Parade is here! Get the family and friends together for Sunday, 2nd December, and enjoy the Parade and our special after-parade entertainment! 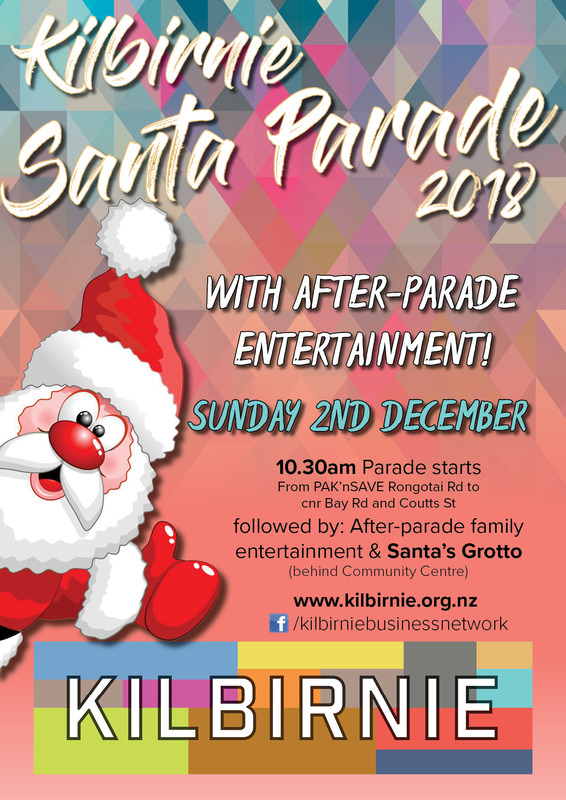 Celebrate Kilbirnie’s unique community and diversity at our upcoming Colourful Kilbirnie Christmas Parade & after-parade entertainment on Sunday 2 December 2018 from 10.30am! Firstly find a good space outside PAK’nSAVE on the Rongotai Road, or along Bay Road to watch the spectacle of the parade pass by, THEN follow the crowd into the car park to the rear of the Kilbirnie Community Centre and be entertained by a spectacular programme of local acts, including live bands and dance performances. Make special memories by meeting the big man himself in Santa’s Grotto. There is also face painting, a fire engine, bouncy castle, bubble and hula-hoop workshops – all for FREE! Remember to grab a coffee or a bite to eat from any of our excellent nearby Kilbirnie cafes and do a spot of Christmas shopping. If you would like to enter a float or group into the Parade, register here! Please see the Parade Participation Rules and Regulations here, before registering (this includes parade route and after-parade entertainment maps). Download the Press Release for the launch of the Santa Parade here.